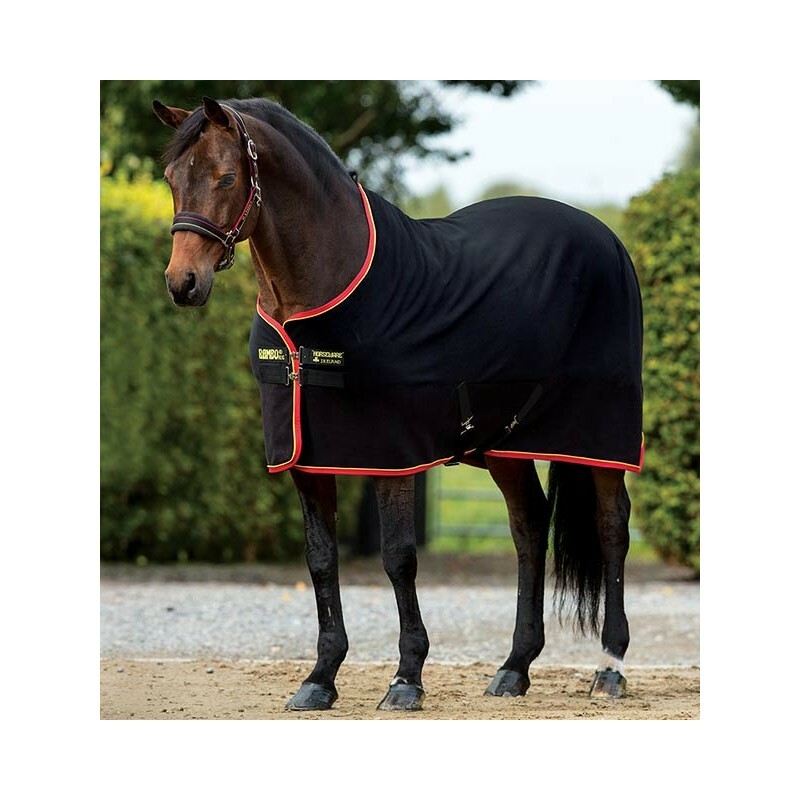 The RAMBO Softie Fleece is the ultimate cosy fleece for your horse on those chilly days. It really is a hug in a rug for your horse. It has been manufactured from a super quality double bonded fleece with a super soft and luxurious inner and a smooth outer. 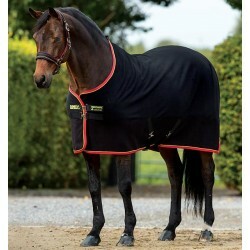 The super soft fleece on the inside helps to wick away sweat and keep your horse nice and warm. 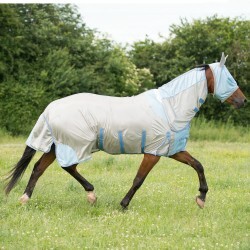 The smooth outer helps prevent any shavings from sticking to the rug. With its high-quality fleece, it keeps your horse warm whilst allowing gradual cooling. 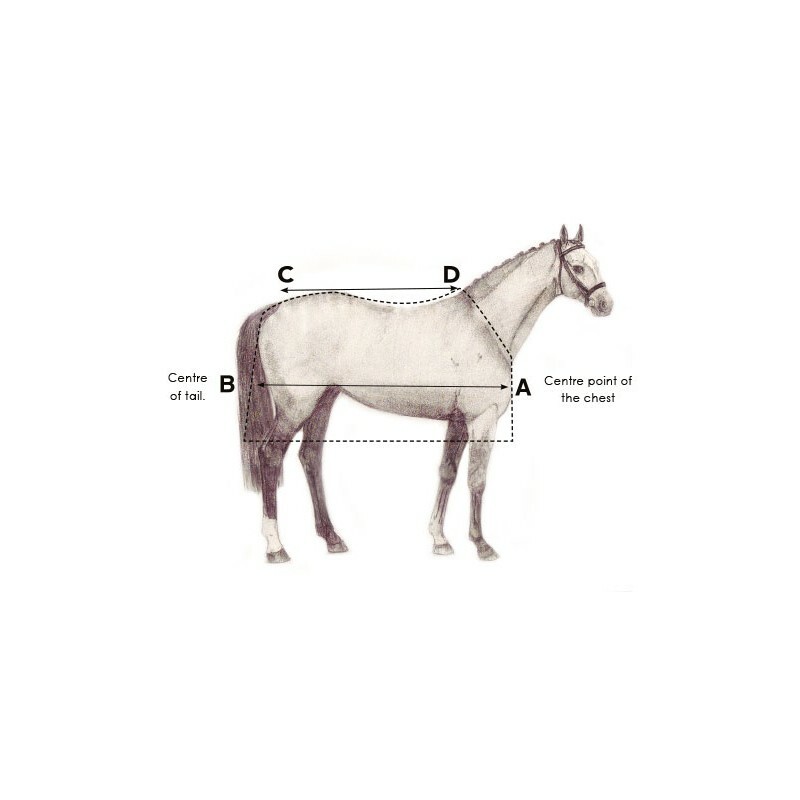 It is suitable for use in the stable or when travelling. The Rambo Softie Fleece has a classic cut neck and a straight front closure, cross surcingles and a fillet string to the rear.